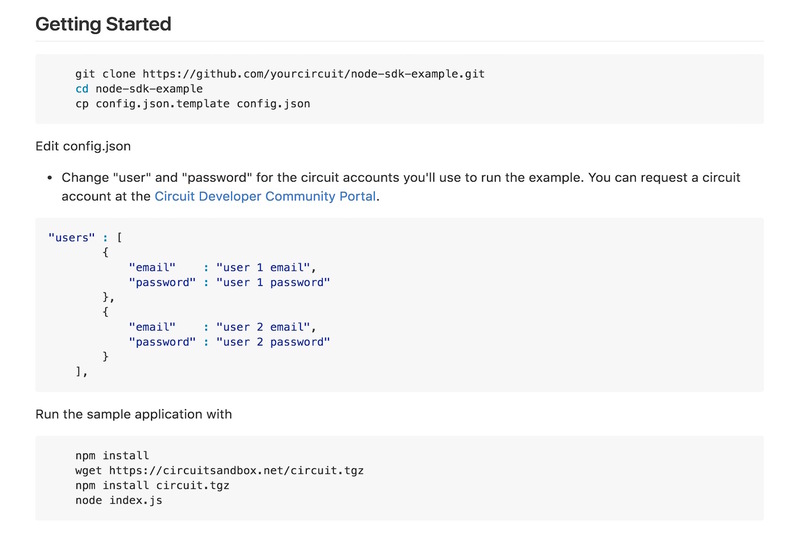 The Node.js SDK is identical to the JS SDK, but does not support first-party WebRTC APIs. It does support WebRTC related APIs in which the app does no act as WebRTC endpoint (e.g. starting a conference, dialing out a number or user on behalf of the logged in user, recording). Introduction example. 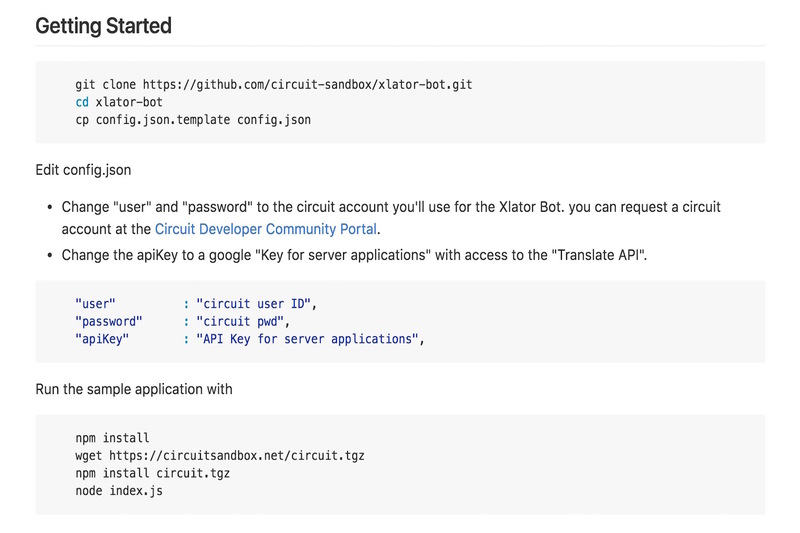 Shows how to logon to circuit, register for events, lookup a conversation, send a message, attach files to a message, send a comment. This sample application shows how to receive Circuit Conversation updates and how to send Circuit conversation items with the circuit node SDK. Bot to join IRC channels from circuit. 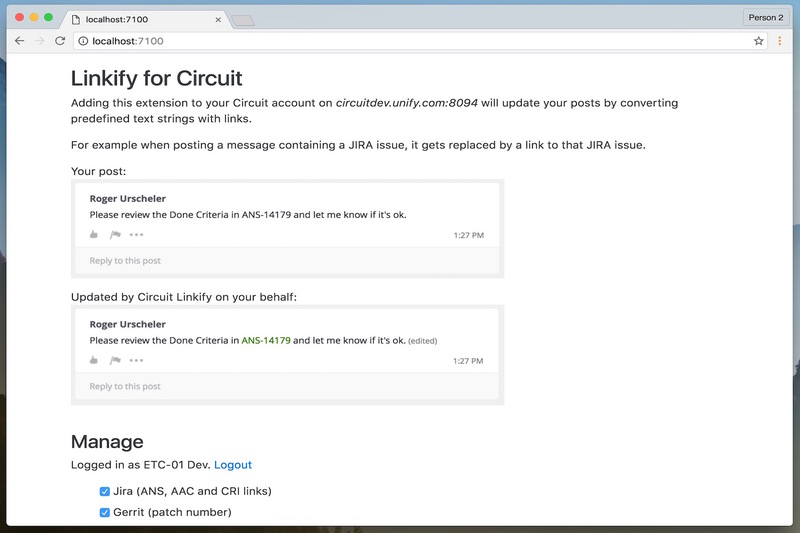 Create conversations and messages using the circuit node SDK. Useful to load the local Circuit system for load testing.